So I really always like to try new foundations, bb creams or tinted moisturizers! I have combination/oily skin so this review is probably only good for the same skin type. 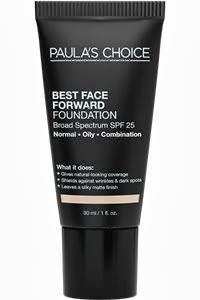 Paula´s Choice Best Face Forward Foundation has a nice smooth powdery feel. The colors (I used "best linen" and "best natural buff") are very natural and diminish within my skin. But there is not a lot of coverage, so if you have some imperfections to hide you need an extra concealer for sure. I love the SPF of 25. But after a couple of hours my skin was very shiny. This does not feel like a foundation at all. Not my favorite cause I need more coverage and less shine. It costs $13.60. Dr. Brandt Flexitone BB-Cream with a self adjusting color feels right away very shiny and sticky on my face. Maybe this is good if you have very dry skin. They offer only one color which adjusts to your skin although I find the color a hint to "grayish" on me. The coverage is a good medium coverage. Awesome SPF of 30! It has a weird medicine like smell but evens out my skin tone nicely. I get a healthy glow but I do get a weird tingling feeling of this and my skin feels almost irritated although I do not even have sensitive skin. The price for this is $39. 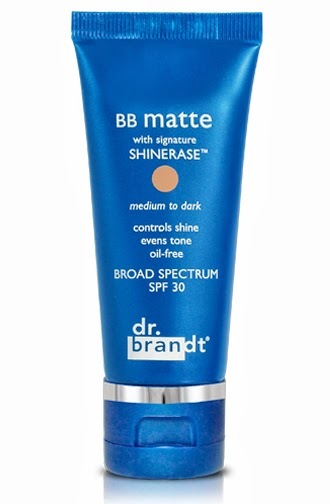 Dr. Brandt BB-Matte feels also sticky and not really smooth and also has a medicine like smell. The colors (they have light to medium or medium to dark) are great and very natural and the coverage is also a good medium coverage. 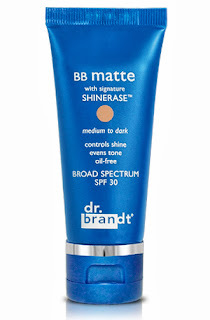 This also has a SPF 30 and the Anti-shine really works! After hours my face was still nice and matte. It costs $39. This one I actually like but I find the price pretty high. So at the end, I´ve tried again different products and I still go back to my good old tinted moisturizer from Nivea! It is super affordable (under $10) and does everything I need! 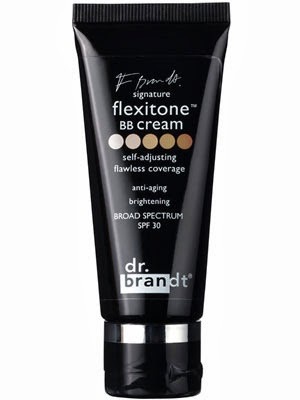 It is like a BB Cream with medium coverage, it is not sticky and leaves my face matte all day! And it has only a hint of a fresh smell. It is probably not good for dry skin. They have only 2 colors to choose from but it so happens that the "bronze" is just exactly my color! I´ve been using this moisturizer since probably 15 years and ALWAYS GO BACK TO IT!!! A GOOD FRIEND FROM GERMANY JUST SEND ME 6 TUBES! YES!!! The only point I like Nivea to improve is to make the SPF 8 a little higher. Other then that I highly recommend this one if you have oily skin like me! Unfortunately they do not sell it in the US (I twittered Nivea why but they have not responded! ), so I always ask my friends in Germany to buy a couple of these and send them to me or bring them if they visit. But I do see that my bblogger friends in the UK are able to buy this. Have you tried this one UK bloggers? I really love it!